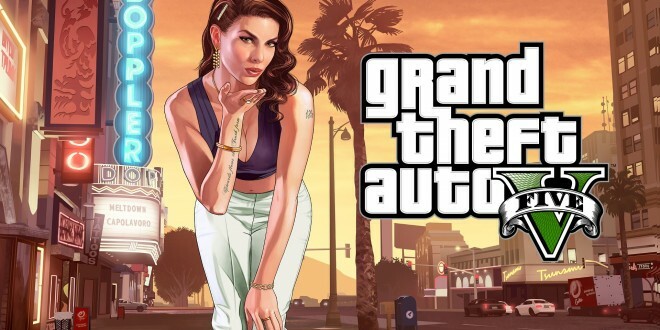 GTA V had its leak and supposed December 23rd launch of heists, well, Rockstar has pushed back. Today Rockstar released the GTA V Heists trailer and… you probably aren’t going to like this. Rockstar has dodged the December 23rd leak date and gone over our heads to Early 2015! That’s right, not only has Rockstar done over with the leaked date, but they have gone away with the entire date thing, again! GTA V’s Heists trailer shows a good variety of heists, but it neglects one of the most important things, an actual release date. While GTA V remains a great game, it would have been perfected by the addition of online heists. Yes, that looks all fine and dandy Rockstar, but Early 2015? GTA V has been waiting for heists since its original launch in 2013, it has been plagued by “Shortly after launch” and “coming soon” for some time. Looks like that won’t change any time soon either. What’s interesting is that GTA V on the PC is also slated for Early 2015. What’s annoying is that Rockstar won’t simply say that the heists will release once the PC version launches, instead they give us Early 2015. Very frustrating as a GTA fan and a Rockstar fan. While I have no doubt that GTA V’s heists will be fun, I do have one major concern. I may be done with GTA V for a 2nd time when they finally release the heists. The trailer looks great and the heists will more than likely be great on GTA V once they FINALLY release, but we still don’t have a date. We have another “coming soon” basically and it is disappointing. I am going to assume that the heists will launch when the PC version of GTA V launches, if not… then I am not sure what to think. Right now I am rather disappointed with Rockstar though and I don’t think I am alone on that.